This weeks Top Tip come courtesy of Jim Anderson of Texas. 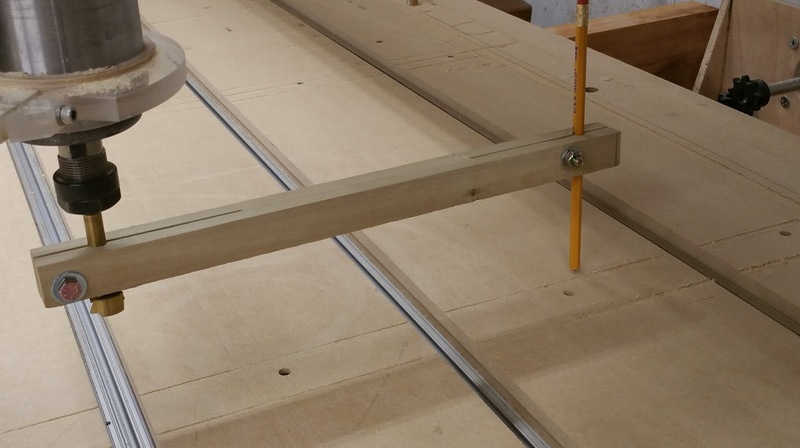 One of the most important adjustments you need to make on your router table is setting the router perpendicular to the tabletop. If you don't have this set right the cuts you make will have slanted sides and any pocket you make will not be flat and look grooved. They will be made up of a series of ramped cuts. The biggest problem is you can't use a square to ensure the cutter is perpendicular to the table so you need another method. Fortunately there is a simple trick that will allow you to set the router exactly. After posting the video above it was noted that there is an error in the demonstration of how to adjust the Router angle. The video below covers the correct method to adjust the router with respect to the table as well as info on surfacing a tabletop for tramming the machine using a method that will eliminate the ridges caused by an untrammed router. This new video needs to be viewed after the one shown above as it provides supplimentary information. 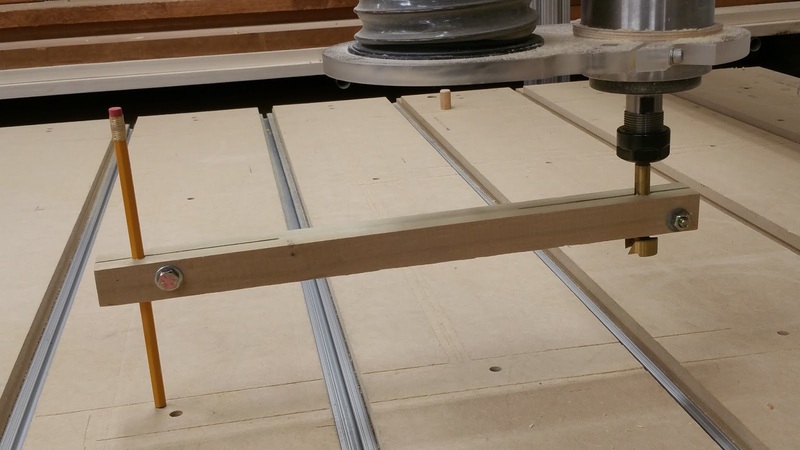 By moving the eccentric bushings your Z axis is no longer square to the table. The way to do it is surface the entire table with a small router bit with a small step over first. 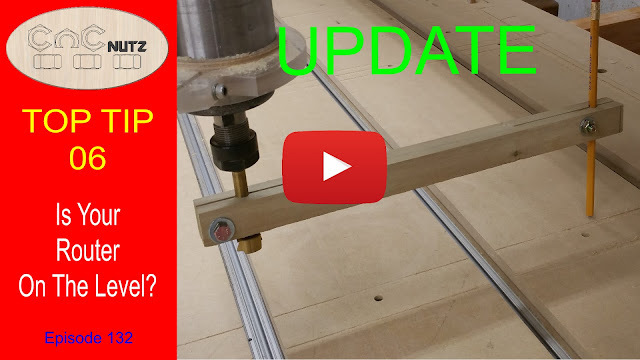 Remove the router and square the Z axis to the table using machinist squares. Re-mount the router and continue with the technique you showed but only adjusting the router mount to the Z axis. 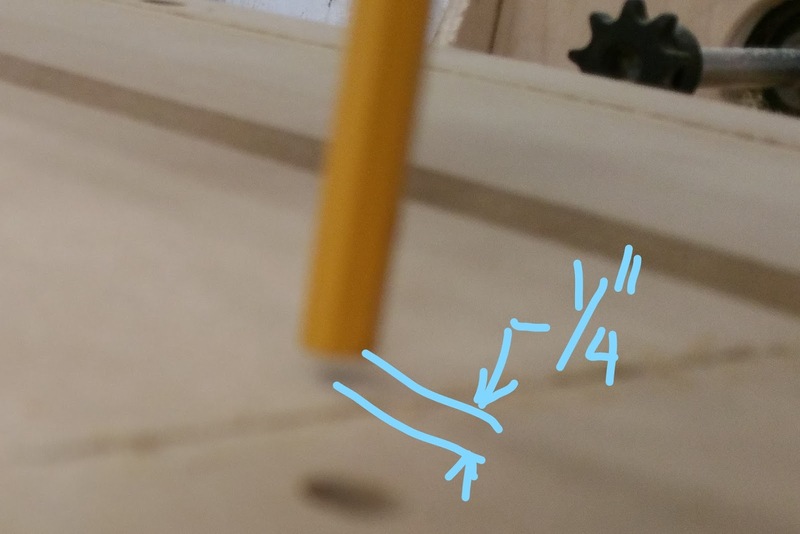 The pencil is 1/4" above the table indicating the router is leaning to the left. The router needs to be adjusted left and right back and forward until the gap remains constant under the pencil all the way around the table. Note that this process can only be done after the table top has been leveled at least once. A new tabletop could be sloping in any direction so an inital leveling profile must be run to flatten it with respect to the router. The larger the distance between where it attaches to the router and where it is measured on the table the greater the accuracy so make it as big as practical. If you would like notification of new videos please subscribe to my Youtube channel. If you would like noticication of new articles on this website please subscribe using the "Follow by Email" on the right hand side. You will be notified as they are posted. Hi Peter, thoroughly enjoy all of your videos. I came across this one Ep.131 and thought there has to be an even easier way to square the router. I have the same problem with my diy table. What I do is when new spoil board is laid, I put a 32mm wide bit in the router, run a leveling program I wrote and it levels the spoil board to the router. Everything that sits on the spoil board is 90 degrees to the router (bit). Leveling the tabletop sort of makes the table perpendicular to the router because the router can still be on a slight angle. This shows up as a step pattern on the table top when it is leveled and will also do the same on projects when you pocket them. doing the extra step of setting the simple tramming setup shown will make it very accurate indeed and get rid of the steps.